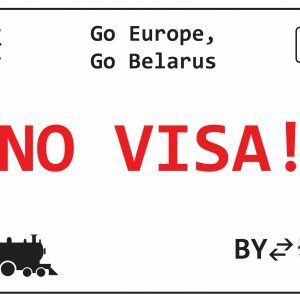 Belarus-EU Visa-Free Travel: An Unrealistic Prospect? The EUobserver reported last week that Belarus might start talks over a visa-free regime with the EU, citing senior officials from the Latvian EU presidency. Many Belarusians reacted to this statement with expressions of surprise, satisfaction and hope, but mostly incredulity. Indeed, a few days later, Maira Mora, the head of the EU Delegation to Belarus effectively ruled out the possibility of a short-term solution for abolishing the visa regime between Belarus and the EU. In fact, in technical terms, Belarus is better prepared for visa-free travel with the EU than many other countries. However, no major breakthrough will come about until Minsk and Brussels find common language on the issues of human rights and democratic governance. 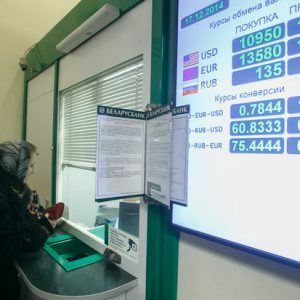 Is the Belarusian Government Afraid of Free Travel? Public opinion goes (and some experts share this view) that the Belarusian government has no inherent interest in facilitating free travel between Belarus and other countries. People-to-people exchange and cross-border trade might undermine the current regime ideologically and economically. In reality, the foreign ministry is routinely working on the liberalisation or abolition of visa regimes with over a dozen countries. Over the past months, Belarusians gained the right to visit Turkey, Mongolia and Ecuador without visas. Visa-free travel to Israel and Brazil is simply waiting for the associated ratification procedures by all parties involved to be completed. The government realises that the facilitation of foreign travel to Belarus is crucial for the development of trade and investment cooperation with the outside world. The visa hassle also undermines tourism, which could become an important source of hard-currency revenues for the country. Is It a Hassle for a European to Get Visa to Belarus? Despite popular belief, European citizens encounter a miniscule number of formalities when trying to secure a Belarusian visa. Over recent years, the government has consistently eased the documentary requirements for visa seekers from most European countries. The only documents they need to submit now is their passport, a photograph, a filled-out application and medical insurance. An invitation letter is no longer required in most cases. The visa process takes five working days. The delay can be expedited to 48 hours for an extra fee. Unlike the Schengen or a US visa, the traveller can get a Belarusian visa in the Minsk International Airport, the only international flight gateway into the country. The new visa rules, which entered into force in January 2015, simplified the process of getting a multiple-entry visa for European citizens. Consular officers now ask for fewer documents and can issue visas for up to three years to business travellers and humanitarian workers. Athletes and students will face fewer formalities as well. On the other side of this is a multi-year Schengen visa, an exceptionally rare item. For a considerable period of time, citizens from more prosperous Baltic States and Poland have paid much less for a single-entry visa to Belarus (€25) than Belarusians have to pay for a similar Schengen visa (€60). This January, Belarus dramatically reduced its visa fees for US and UK citizens. They went down to a uniform price of €60 for a single-entry visa, down from the $160 for US and £75 for UK citizens. With this move, the authorities are seeking to stimulate these governments to adopt similar measures. Belarus made all of these visa liberalisation measures unilaterally as gestures of goodwill. Ironically, Westerners rarely have hardly taken notice, much less shown appreciation for these changes. They tend to discuss Belarus' visa policy in terms of their ability to travel visa-free to most other countries, all while forgetting the very restrictive and often humiliating visa procedures that their own governments maintain for Belarusians. Will Europe Facilitate Travel for Belarusians? During the Eastern Partnership Summit in Vilnius in November 2013, Belarus' Foreign Minister Vladimir Makei announced the launch of negotiations between Minsk and Brussels of a visa facilitation agreement. If the parties reach the agreement, the entire visa process will be made easier for the Belarusians. The visa fees will be reduced to €35 from €60, more people will be exempt from these fees (children, atheletes, journalists, students, scientists), all paperwork for applying will be streamlined and more multiple-entry visas will be issued. The mass media in Belarus and abroad have claimed that the Belarusian authorities have at long last abandoned their long-standing opposition to such talks. Few people know, however, that Minsk officially communicated its willingness to engage in the visa facilitation process back in 2008. It took Brussels two years to get a mandate to hold negotiations. Around the same time the Belarusian regime cracked down on the opposition in the aftermath of the December 2010 presidential election. The EU understandably froze all of its cooperation projects with Belarus as a result. Talks finally began in 2014, and two rounds of negotiations have taken place to date. On 12-13 June in Minsk, the Belarusian delegation submitted several amendments to the standard EU draft. Our proposals seek to ensure that citizens have an exhaustive list of documents they must provide to the embassy… They should not be ping-ponged to bring certificates, additional documents and so on. The most serious stumbling block on the way to the prompt conclusion of the talks is Belarus' insistence that the agreement provide for visa-free travel for diplomatic passport holders. Belarus already has a visa-free travel arrangement for diplomats with Poland, Hungary and Slovakia. Their demands are nothing out of the ordinary on this matter. The EU visa facilitation agreements with Azerbaijan and Armenia provides for visa-free travel for diplomats. However, the European delegation has no mandate to negotiate such an arrangement with Belarus. Ironically, if the parties work out a parity agreement on visas, it would entail a worsening of the visa regime for European citizens, as Belarus is several steps ahead of the EU in its visa facilitation. Both parties would like to have the agreement ready to sign at the Riga summit of the Eastern European Partnership in May 2015. The next round of talks, which should take place in Minsk in February this year, may shed more light on whether this goal is attainable or not. Visa-Free Travel to Europe: A Pie in the Sky? On 12 January, the EUobserver cited Latvia's Foreign Minister Edgars Rinkevics as saying that there were prospects for starting talks on a visa-free regime between Belarus and the EU. At the same time, a Latvian foreign ministry official immediately stated that they would be conditional and based on the release of the remaining political prisoners. Serious doubts remain about the feasibility of a visa liberalisation agreement in the short- or even medium-term. In fact, on 14 January, Maira Mora, the Head of the EU Delegation to Belarus, described the visa-free regime as a "beacon", a next step, which should be discussed only after the current talks are completed. Technically, visa liberalisation talks would be a logical next step after a visa facilitation arrangement. However, time will tell whether or not the parties are able to take this first step without stumbling. Maira Mora denied that the EU had made changes to the European Commission's mandate conditional on the release of political prisoners. Regardless, in order to start talks on the visa-free movement of people, Belarus and the EU would need a brand-new relationship based on common values and mutual trust. Realistically, for the near future both parties will content themselves with the simplification of the visa regime.